Coaches, Players, Directors and Spectators! 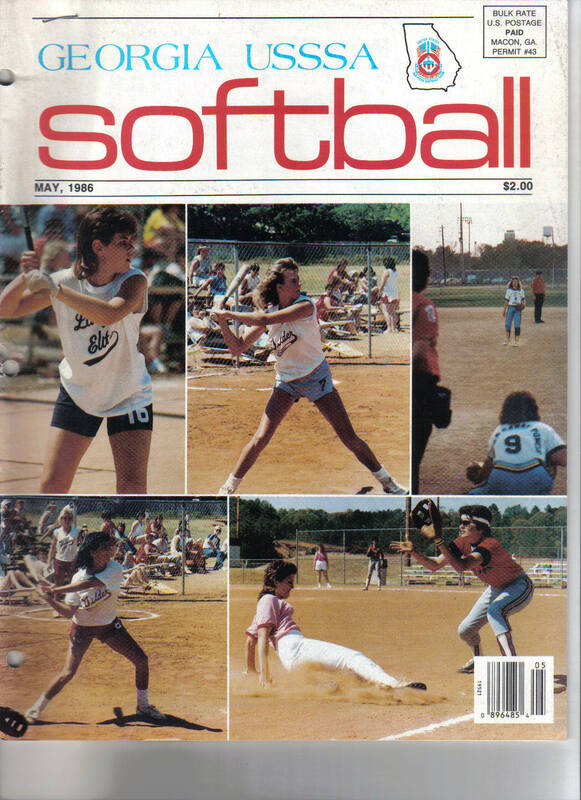 The following pictures are scanned copies of the covers of the Georgia USSSA magazine that was published beginning in 1986; there is quite a bit of Georgia USSSA softball history in the magazines that are listed. We hope to have the complete magazines, including photos and articles listed sometime in the near future. If you are old timers then you know that slow pitch softball was the amateur sport to play in the 80’s and 90’s, not until the early 2000’s did we see a decline in participation in softball no matter what association. I think it’s important to keep young people involved in the game of softball so that the game will grow as it did years ago; not only is it fun and competitive but it’s also a wholesome activity for the participant. I’m sure there are many players on the covers of these magazines that are still involved with the game! Hope you enjoy viewing a blast from the Georgia USSSA past!